Platforms such as Adobe AIR are making the Operating System less important; as I articulated previously in "Operating Systems are becoming less important to Consumers". I decided to have a bit of a play to see how easy it was to build an Adobe AIR application. My first stop was the very useful Adobe AIR Developer Center, which contains lots of really good information (docs, videos, downloads, ...). I had already noted from a previous search that Aptana Studio (which I had installed) had an Adobe AIR plugin, so I installed that directly from the tool. That was nice and easy and I therefore had a working IDE up and running in minutes. 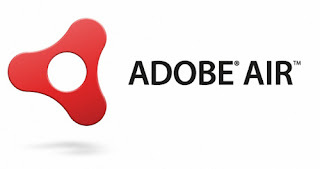 Information about the features of the Adobe AIR plugin for Aptana Studio can be found here. I simply started a new Project, went with all the standard defaults, including the incorporation of a Sandbox application. Once the Project was created, I clicked the Play button in Aptana and it worked fine. It was just too easy. I then decided that I would like this mini app to run stand-alone in Adobe AIR, so simply chosen the Export to Adobe AIR package menu item which then packaged up the application into a .AIR installation file. I then ran the .AIR file and it installed without a problem, prompting where to install and where to put Shortcut links. Nice, and it worked too! I was not honestly expecting for it to work so easily, without having to tinker around with the IDE a bit or find a missing library. It was a pleasant surprise. where blogname is the blog you want to retrieve, and myFunc is the name of your callback function that is passed the JSON object. The Introspector is a very useful tool for seeing the value of DOM properties and functions in a tree view, running console commands, changing values, and lots of other stuff. Through this I was able to manually invoke the listEntries callback and it worked nicely. This example also demonstrated the use of a dropdown list, and this functionality worked exactly as per standard HTML. I'm glad you liked Adobe AIR and the quick start-up time using Aptana. As AIR Application Sandbox allows cross domain XHR, you can do a XHR call to that JSON url, get the string and have an eval on it (eval only works with JSON strings), then get the resulted object and populate your list with it. Thanks Dragos for your very useful comments and great customer service!